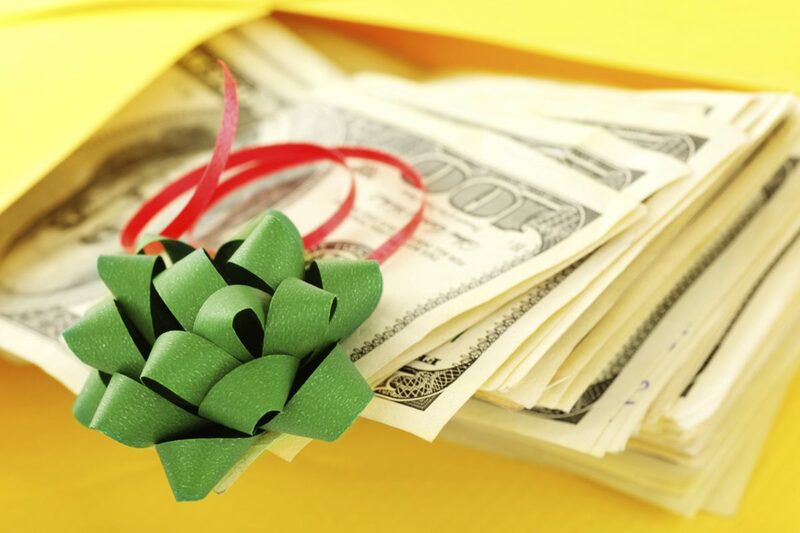 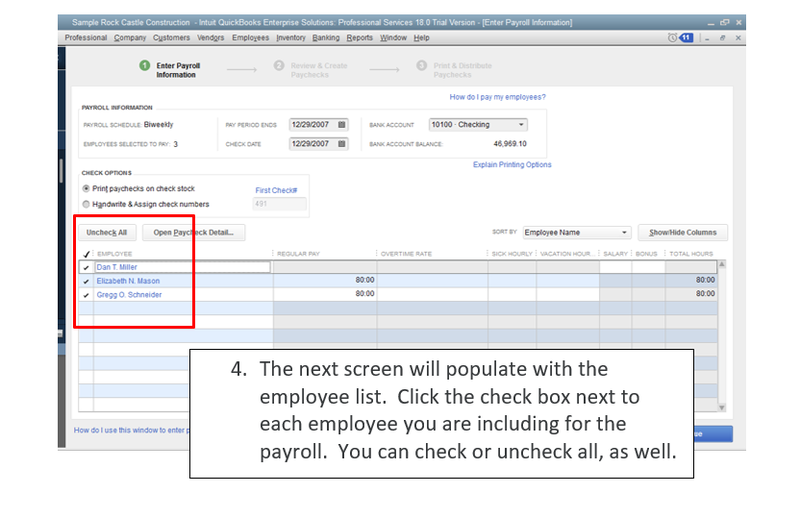 You can add employee bonuses to any payroll run. 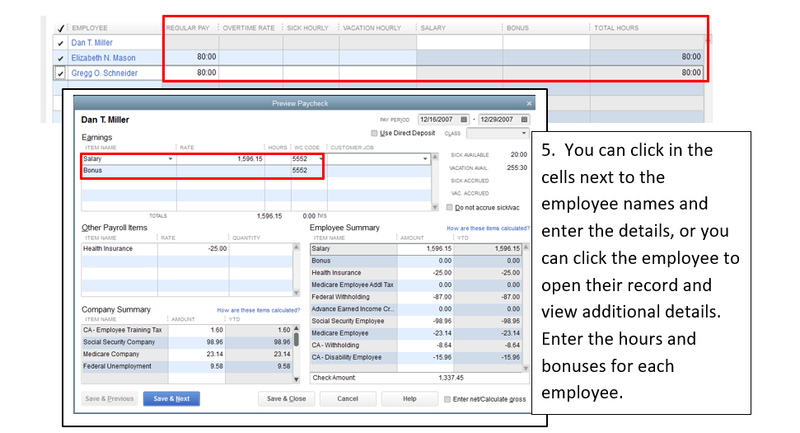 Of course, you can also cut separate bonus checks any time you like! 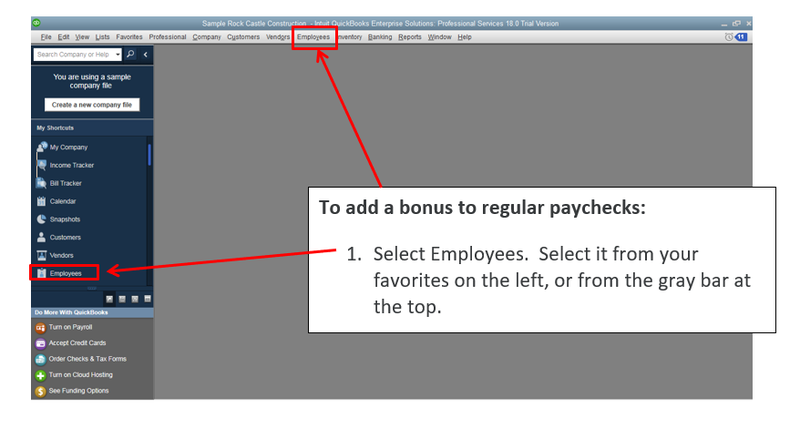 There are advantages to paying bonuses on a separate check. 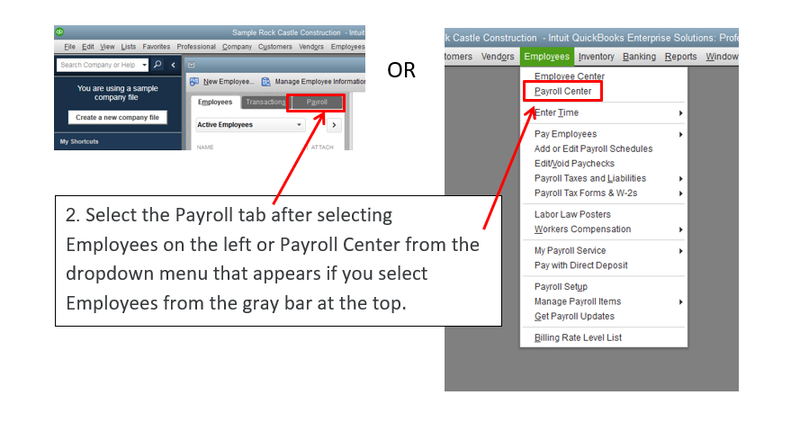 but if you prefer to add to their normal paycheck I will walk you through the steps below. 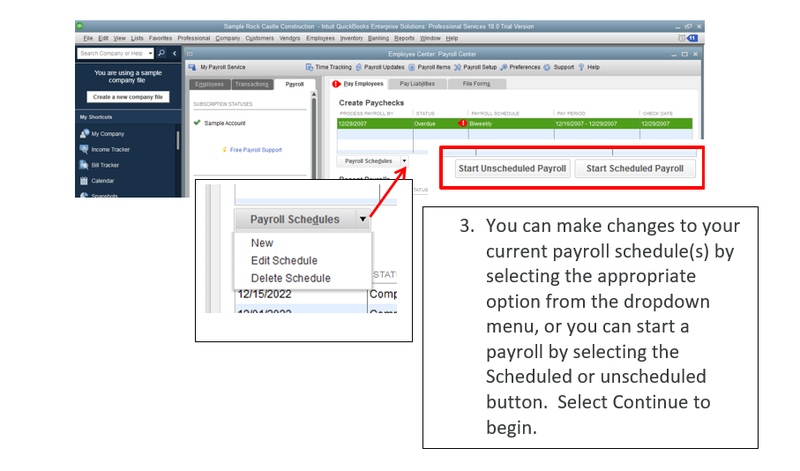 You must remember to set up a bonus pay type for your employees or you won’t see the “Bonus” column when you run payroll! 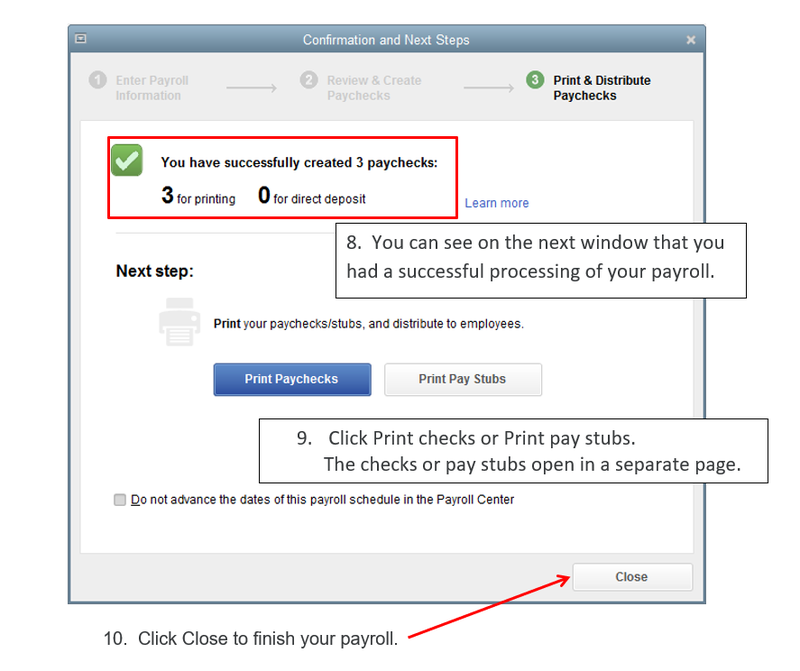 In the process below I will show you how to create a bonus check run where we actually print the checks to hand to employees. 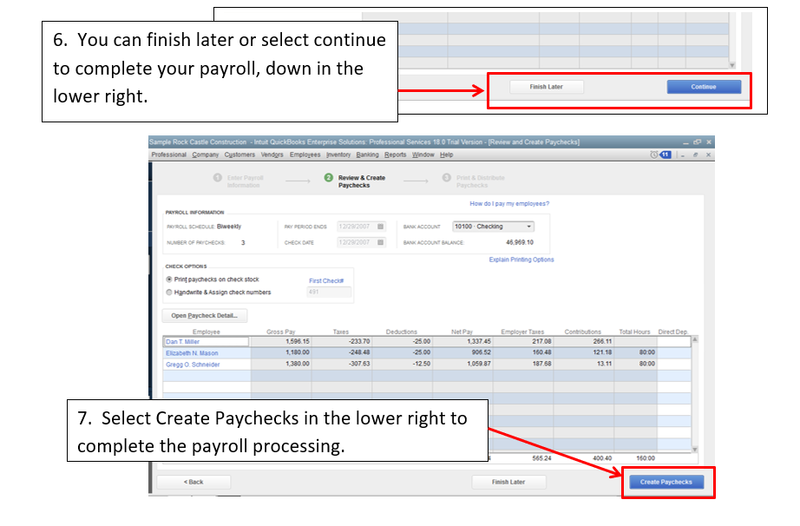 If you prefer to direct deposit like normal then you will follow this process and submit to Intuit with your personal payroll pin as normal.